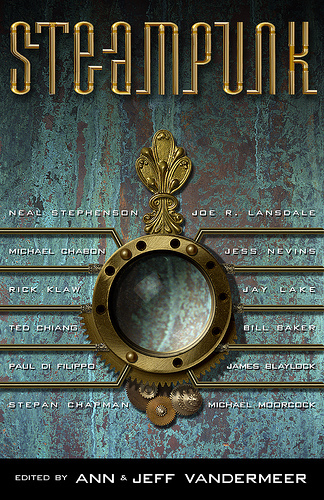 A good collection of steampunk stories from the later days of the 20th century. A lot of authors that I recognize, but none that I've actually read. I don't have a huge amount to say about this anthology. It was enjoyable. It was fun. It gave me a nice history of the Steampunk genre. It was nice to read something a bit more modern after Steampunk Prime. I have the second volume from the same editors, but have decided to read some others first. A good introduction to the genre. My favorite story: "Lord Kelvin's Machine" by James Blaylock. A good combination of intrigue, exploration, and machines. I definite must read!